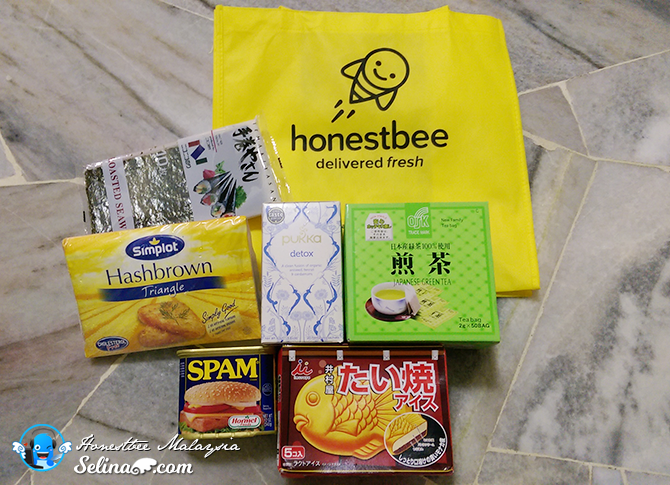 Honestbee, yellow bee did come to stay in Malaysia and will start to buzz around the Kuala Lumpur on last beginning of March! So, our country Malaysia welcome Honestbee, Asia's fastest-growing and leading online grocery concierge and delivery service! 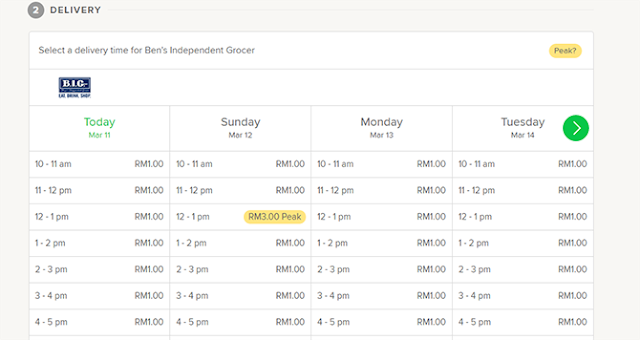 Honestbee offered RM1 delivery with no min spend for all stores from now until 14th March 2017! 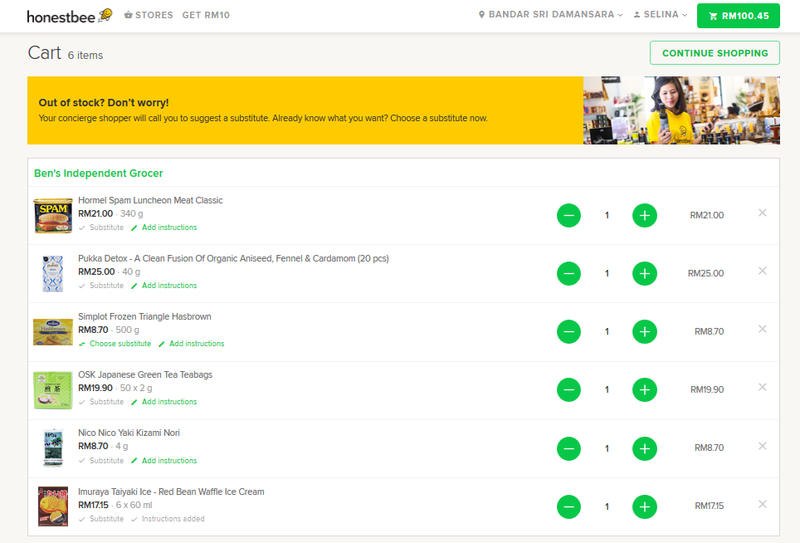 The honestbee platform currently partners with more than 10 well-renowned outlets; Ben’s Independent Grocer (B.I.G. 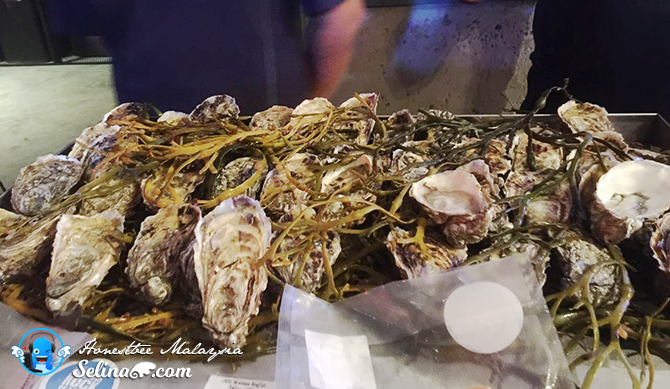 ), Shojikiya, Fareastflora.com, Cat & The Fiddle, Southern Rock Seafood, Castania Nut Boutique Vom Fass, The Blue Cow Butcher, La Juiceria, Wondermilk, Wine Connection, Cookie Box, GNC, Real Food and Chai Huat Hin and farm to table grocer Jezripe. I am sure that you all know a giant outlets only be available in Kuala Lumpur only. 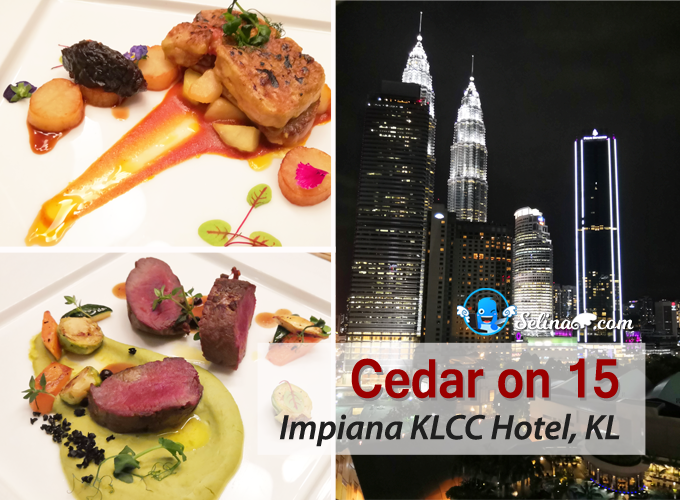 So, it is good chance for you all to get things from them since you don't have time go to a city, Kuala Lumpur when your home is far from there! 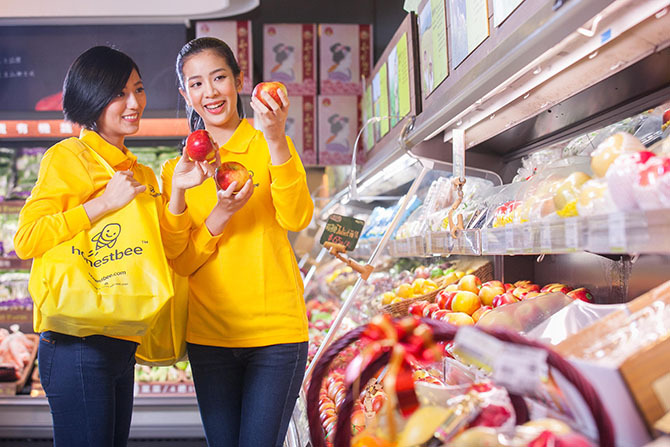 Honestbee success to become popular in Singapore since they entered in shopping online industry in 2015. Then, the honestbee has expanded quickly in the past 19 months across major cities across Asia, including Kuala Lumpur, Malaysia. Honestbee is targeting to expand their service to other cities by the end of 2017. 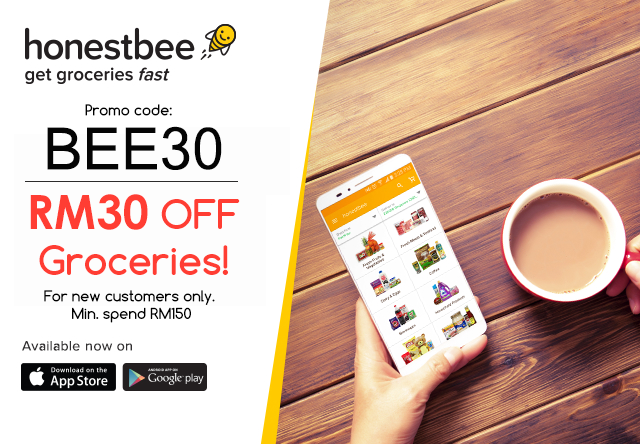 I give you a free promocode “BEE30” where you can get RM 30 off your groceries it is valid storewide till 31 May 2017. 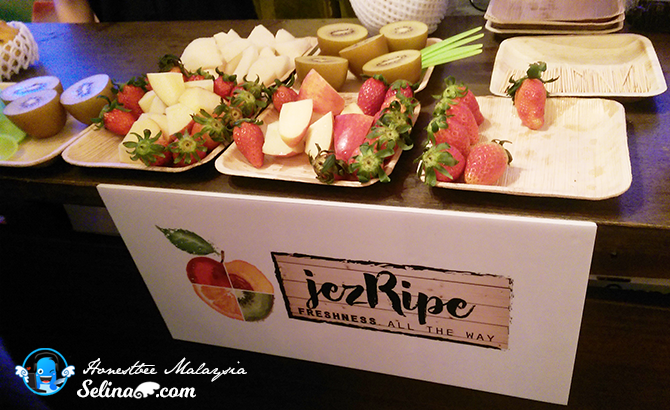 Applicable for new customer with minimum spend of RM 150 only. Honestbee also improved the delivery capabilities, to respond quickly and deliver orders at the earliest time.Their limited 30-minutes delivery within the selected areas, mean they give the customers have more choices to select the time and place, within their favourite stores. I am happy to see the Honestbee's function of delivery offer the chosen of timeslot so it is easy to make sure the customers' good delivery reach at the doorstep so safety with their chosen time. We don't need to waste our time to wait for the delivery because we will know what time they can come! I surprised that Honestbee also help the shoppers bee to make shopping themselves at same time, they can select groceries for the customers, mean they can make money from helping the customer who order the grocery online? But, when be concierge shopper, they need to learn more with the interview, and training, so it help them to be independent and smart shoppers. 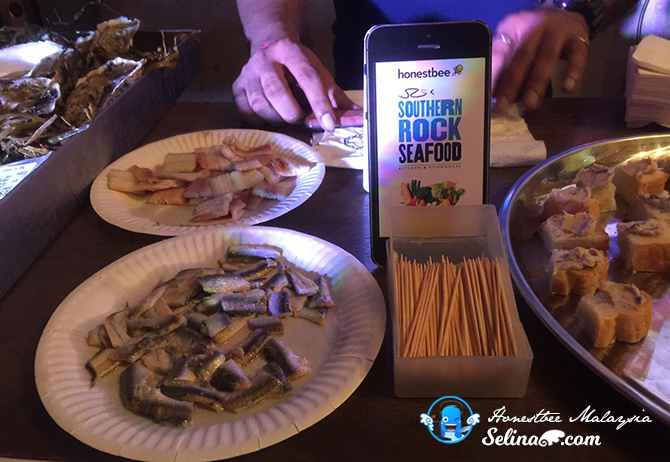 That is why honestbee concierge shoppers are well-trained to ensure that the items in the shopping cart, included the fresh of vegetable, meat and seafood. 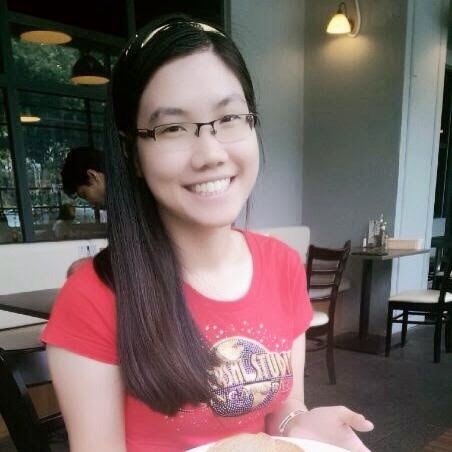 Mean they must good at picking a good one which is better when it come to the choices of seafood and meat! How to shop via Honestbee? 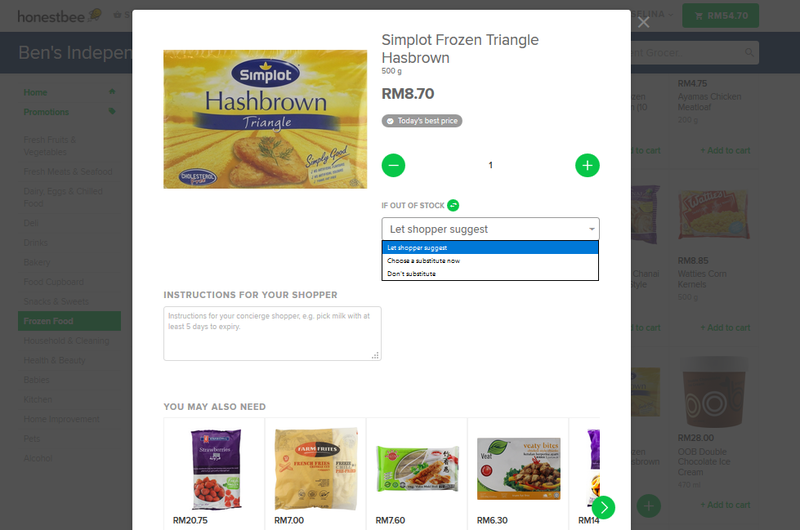 I am amazed to see a new feature added, "substitute" if your product are out of stock, they can help you to select your substitute of product! Or you choose other product in the substitute on your own. Easy? You can check your cart account, and you see every product if you like to add the add of amount or write your instructions if you like to inform them! Remember, you also add your contact no.mobile. 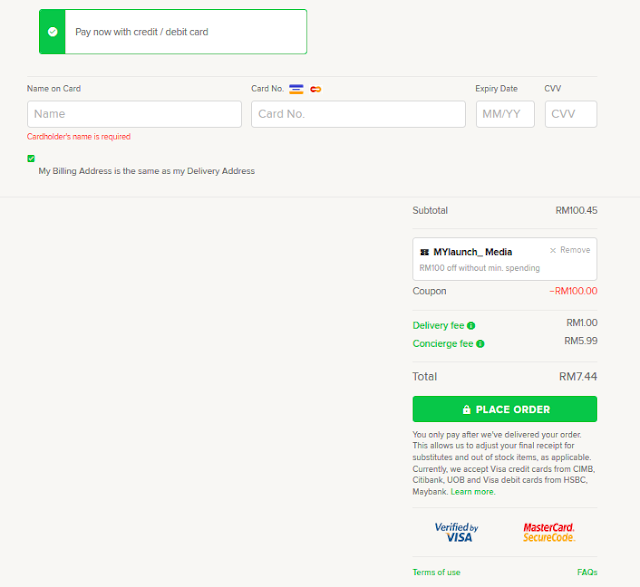 Hmm, they don't have any option of payment, so I have to choose the credit/debit card payment to make my payment. Oh my, the delivery and concierge fees also charged too. I understand that the conciegre help everyone to shop by earning money more. 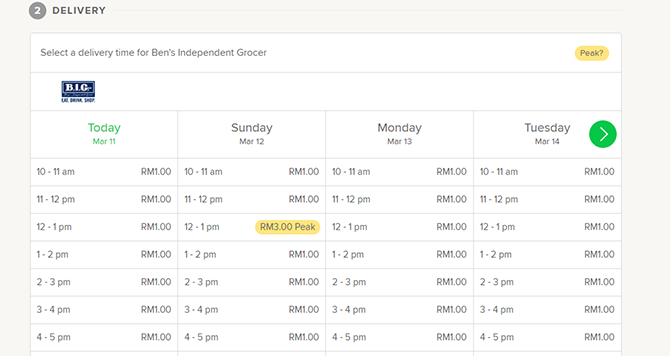 It is good if you to like work as part-time as conciegre for Honestbee Malaysia. 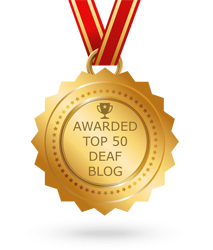 For Deaf people, they can make shopping online via debit card, easy. But it is another disadvantage if they don't have debit card or honestbee don't have banking transfer, it is difficult for them. *Honestbee delivery are available in Mont Kiara, Sri Hartamas, Bangsar and limited area of Kuala Lumpur only. 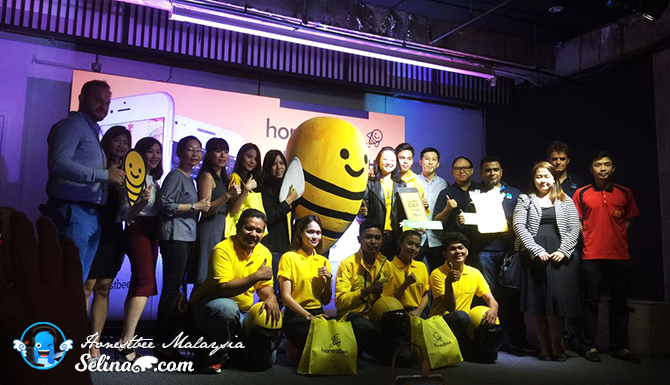 The honestbee app be available in Malaysia, via Apple App Store or Google Play Store. 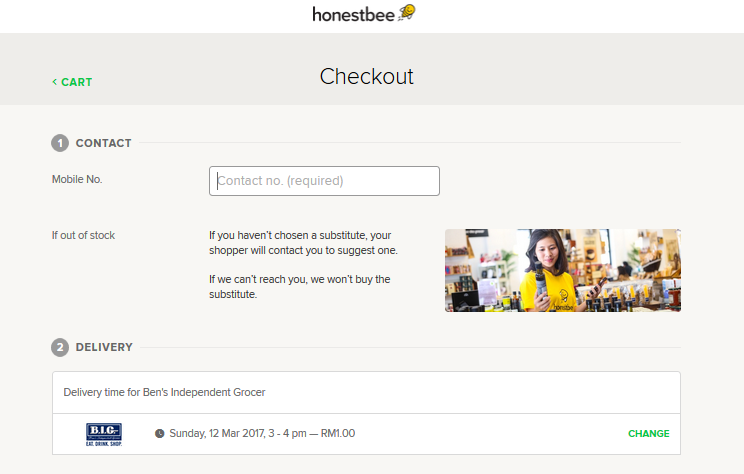 Or you can enjoy to do grocery online at https://honestbee.my at your desktop! JOM! SHOP ONLINE NOW! I give you RM15 voucher! How convenient to have HonestBee at your fingertips. I wished their services have expanded to Ipoh, so that I can use them. 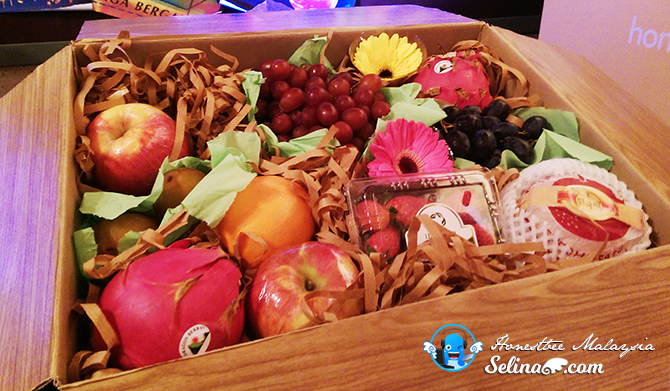 It's a really smart concept to deliver groceries to your doorstep. Extremely useful if it's raining heavily or if you're just too lazy on that day to go grocery shopping. Honestbee thats a cute name! And I find this concept very useful especially for busy Moms, and forthose who have no helper yet to do their errands. Thumbs up!! interesting app! 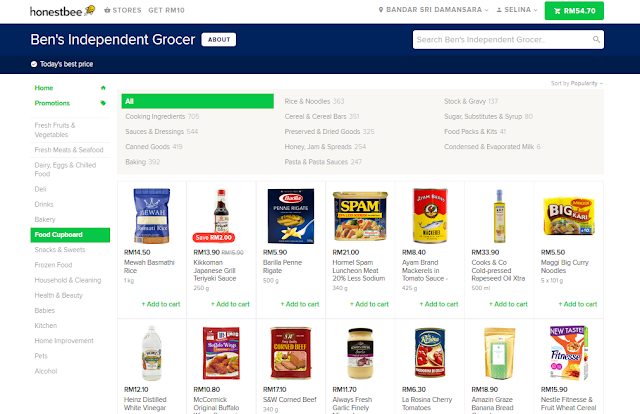 now grocery shopping is super easy... and i also love the brands that they collaborate with. I've came across to many post about honestbee! 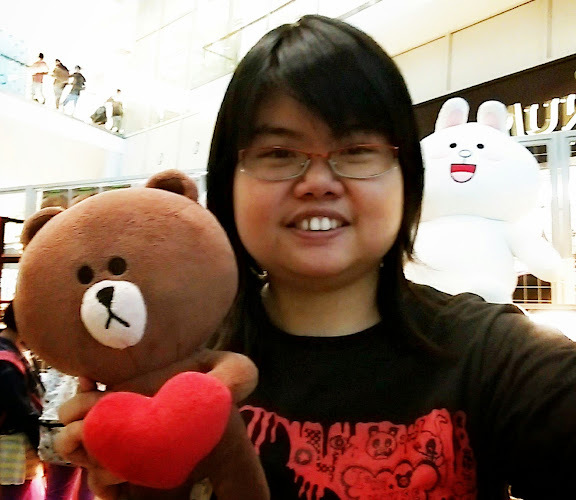 I think their mascot looks really cute and adorable! hahaha. I just checked their website. My area isn't covered. I hope they expand the delivery area. This is awesome article.I get many useful Honestbee through this post. I would like to thanks for providing these information. Thank you for sharing it.